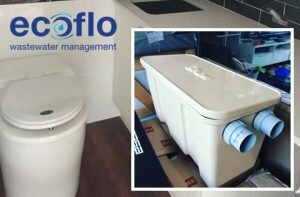 Wayfarer Tiny Homes use of an Australian made waterless composting toilet manages bio-organic waste while saving money and the environment by not having to flush away approximately 32,000 litres of water per year. Grey water used in the home’s shower, sink and washing machine are collected for processing in an on-board, proprietary greywater treatment plant known as a G-Flow, also invented right here in Australia. High organically charged waste water from the kitchen sink and dishwasher goes through a two-stage process before being released back into the environment as clean water that can be recycled into vegetable gardens or to water lawns – just the way nature intended. This is just another example of Australian domestic environmental technology being used by Wayfarer Tiny Homes in the development of sustainable and affordable housing solutions nation-wide.